Sign up below for info on 2019 dates as soon as they become available! 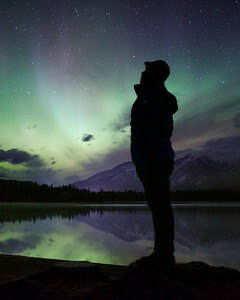 Join us as we explore the Jasper Dark Sky Preserve and its stunning location in the Canadian Rockies. 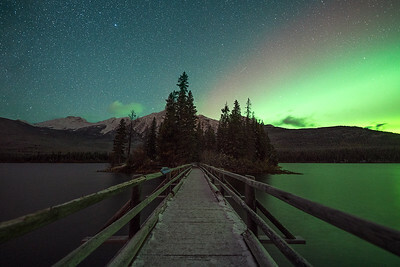 We will spend the entire week photographing some of the best dark-sky locations in Jasper National Park and we’ll wrap up just in time for the annual Dark Sky Festival hosted by Tourism Jasper. 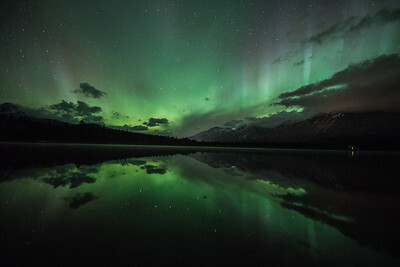 Jasper is the world’s second largest Dark Sky Preserve and home to some of the best stargazing you will ever encounter. The stunning scenery and easy-to-access locations make it the ideal location to hone your skills – whether you’re just starting out or if you’re a seasoned night-sky photographer. 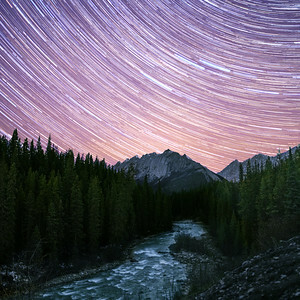 During the workshop, we’ll work together to create some truly spectacular images, while covering in-depth tutorials for photographing star trails, capturing the Milky Way or northern lights and post processing techniques. Jeff Bartlett and I have combined experience leading workshops across North and South America, Europe and Africa! This will be our second workshop in Alberta and I couldn't be more thrilled to have it line up with one of my favorite events of the year. 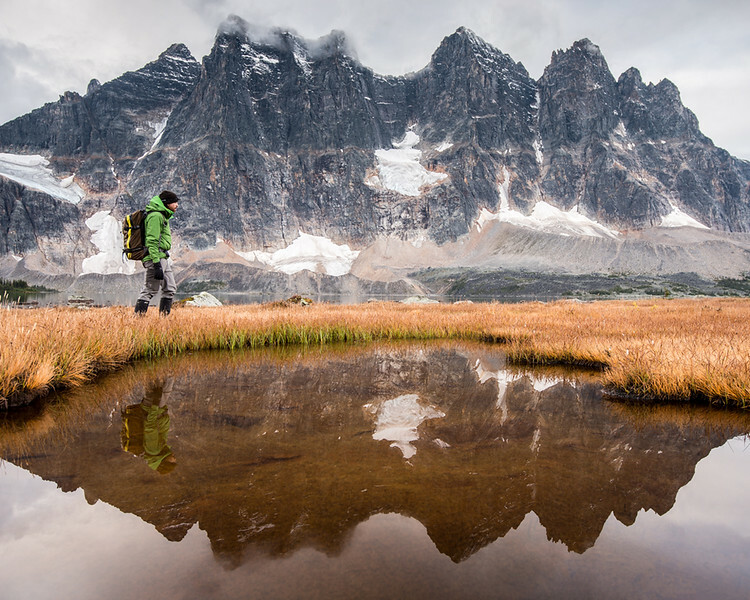 Jeff spent five years living in Jasper and there aren't many people with better knowledge of its many landscapes. This will be my 7th year in a row attending the Jasper Dark Sky Festival, so being out under the stars in Jasper feels like being at a second home. My work from Jasper has been featured by National Geographic, NASA, the LA Times, and many other outlets. 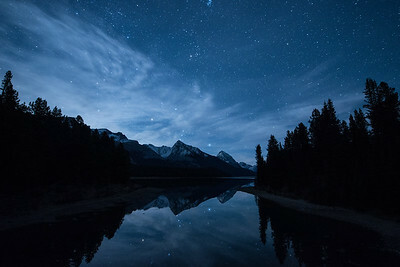 Our Canadian Rockies Dark Sky Photoraphy Workshop is designed to maximize one-on-one learning, so we are including only ten participants along with three instructors. The excellent 10:3 ratio allow us plenty of flexibility, so we can tailor learning objectives and instructions to each photographer’s unique needs. We’re also adamant that it’s important to not just learn how to capture more compelling images but also how to edit them, so we’ll spend afternoon sessions covering beginner to advanced post-processing practices. Typically, we say our workshops are for everyone; however, this workshop has a few exceptions because we’re focusing strictly on the dark sky. Participants need to come prepared with requisite equipment. We hope everyone will come prepared to capture the night sky, meaning they’ll have at least one fast aperture lens, a sturdy tripod, a cable release, and be ready to stay out late! We do have several planned work sessions, but our curriculum is never set in stone. Our experience allows us to quickly adapt to our clients needs. If there are specific photography skills you want to learn or improve, we are there to help. If you're unsure of your gear or need advice on what bring/rent, please feel free to reach out! I'm more than happy to help you select what you will need. 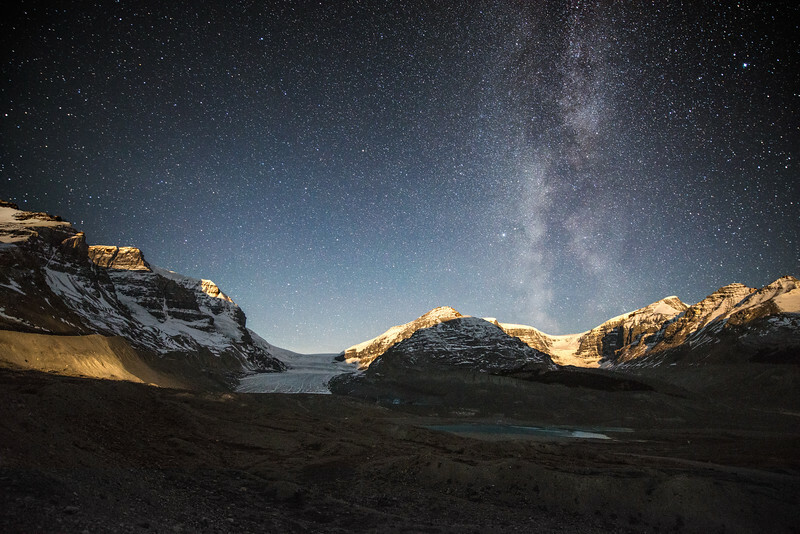 Nightly photography adventures to Jasper’s best dark-sky locations, from Pyramid Lake to the Columbia Icefield. Assignments for a variety of night-sky photography techniques and hands-on instruction to help achieve them. 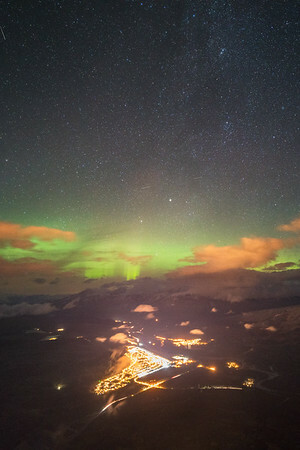 Tickets to events during the Dark Sky Festival hosted in Jasper, including the Keynote event and Space Talks. 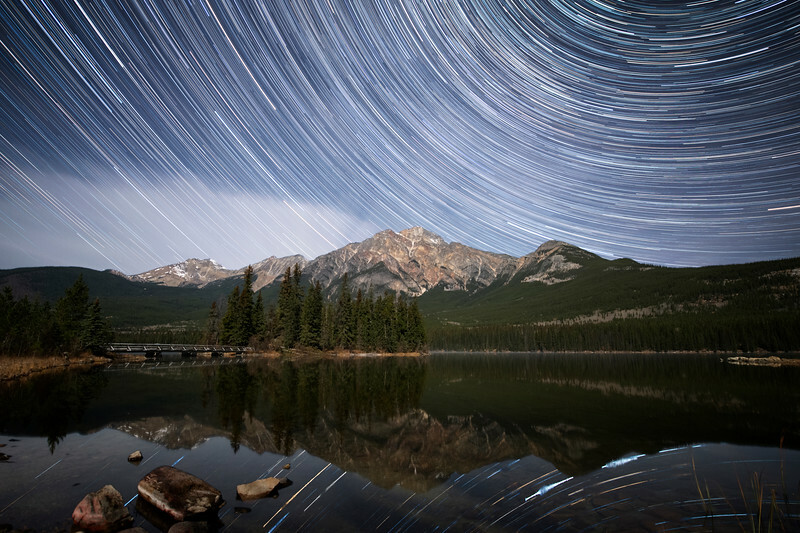 Welcome to Jasper and the Canadian Rockies Dark Sky Photography Workshop! Arriving in Jasper is easy from both the Calgary (YYC) and Edmonton (YEG) international airports. It’s up to our participants to book their flights and airport shuttle to Jasper. From the Calgary International Airport, Sundog Tours runs a daily shuttle at 11:30 AM with stops in Banff and Lake Louise. You’ll arrive in Jasper at 5:30 PM, after traveling the spectacular Icefields Parkway. From the Edmonton International Airport, Sundog’s daily shuttle departs at 3:00 PM and arrives to Jasper at 8:30 PM. We don’t have any activities planned on Saturday; however, we encourage everyone arrive, so they’re rested and ready to shoot beginning on Sunday! We’ll make sure to drop in and say hello to each participant and get them oriented in Jasper. 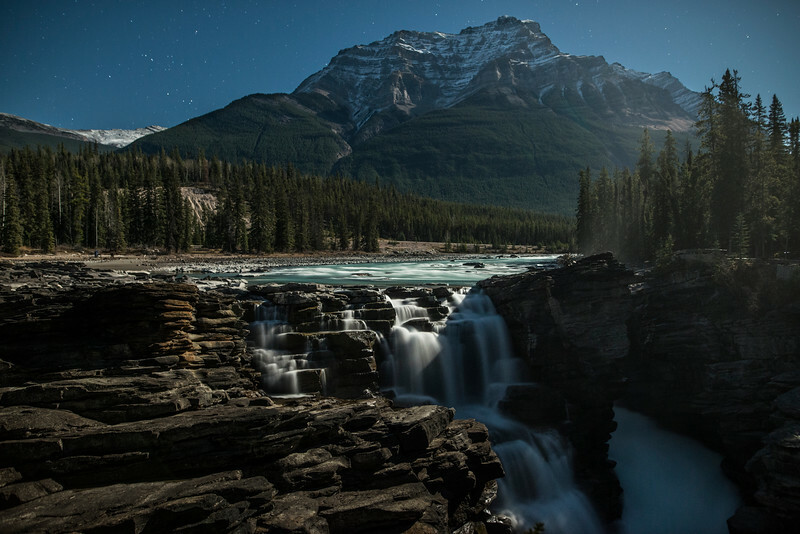 The workshop truly kicks into gear beginning Sunday and we’ll spend the entire week photographing the stunning landscapes in Jasper National Park. 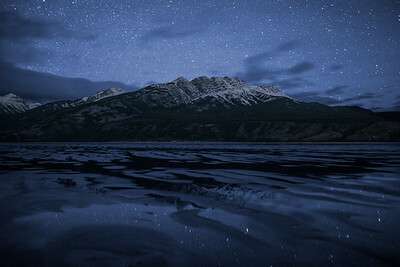 - Nightly dark-sky shoots throughout Jasper National Park. - Visits to our favourite landscapes, including Pyramid Lake, Athabasca Falls, Goats and Glaciers, and Maligne Lake. After burning the midnight oil all week, we’ll enjoy a lengthy day of rest on Friday. Our only planned activity is a final afternoon post processing session, during which we’ll want to share your best images with the entire group! 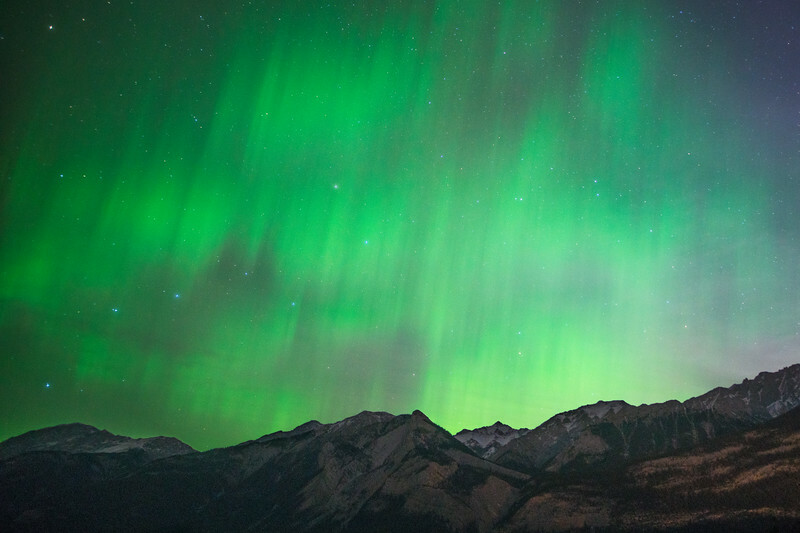 In the evening, we’ll head off to the Jasper Dark Sky Festival Keynote event together, enjoying our VIP seating thanks to Tourism Jasper. 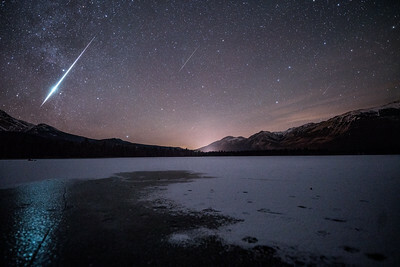 After the event, we’ll return to Lake Annette for the annual Beyond the Stars event. Free shuttles run to and from this event, so participants will be free to enjoy the event and return on their own schedules. It’s farewell day, yet many of you won’t be leaving Jasper! We’ll gather for a farewell brunch in Jasper before saying our formal goodbyes. We’re hoping many participants will stick around for the weekend, as we’ll also provide participants tickets to Saturday’s Space Talks event and to a presentation Jeff and I are giving at the Chaba Theatre. Return shuttles to YEG or YYC depart early and participants will be required to book their return trip on their own. Our entire workshop is based in Jasper, Alberta, so we’ll be spending the entire week based out of a single hotel. We’ll minimize travel time to maximize our photography opportunities! Tripod – more than any other workshop, this is a necessity. Appropriate outdoor clothing, including warm footwear, jackets, hat and mitts. Hotel Accommodation for the entire workshop – 7 nights total! Are the instructors familiar with Jasper National Park? Yes. I lived in Jasper for six years and continue to visit regularly. Jack Fusco can’t keep track of how many trips he’s made, but it’s fair to say he’s been to more Dark Sky Festivals than just about anyone. 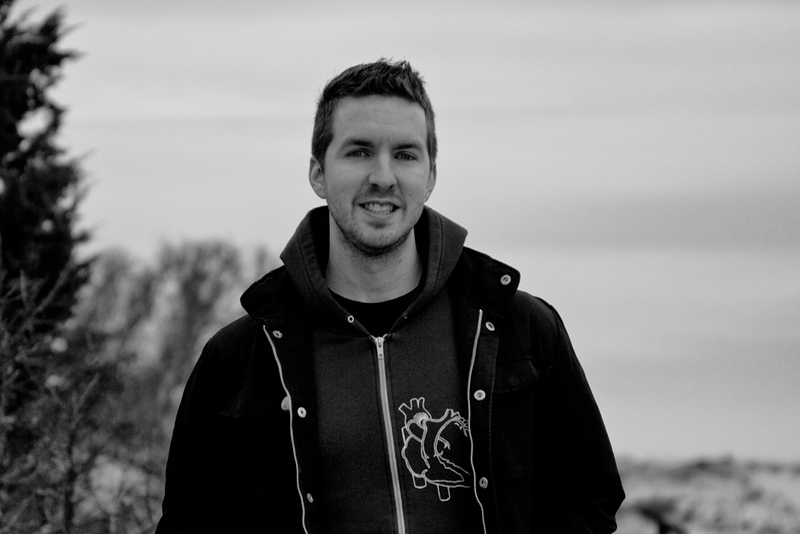 Ivan hasn’t been to Jasper yet, but he’ll be spending a few weeks leading up to the workshop photographing the Canadian Rockies, so he’ll know his way around before we kick things off in October! We keep payment easy. When you are prepared to register, please follow the links below and we’ll forward you a PayPal invoice. If you can’t pay with PayPal, please get in touch with us to make alternative arrangements. All our workshops are designed for beginners and advanced photographers. It is easy to accommodate all skill levels. Since we have three instructors and only ten participants, you can expect plenty of one-on-one instruction. Flights to either the Calgary or Edmonton International Airport are not included. Both airports are well connected throughout North America, but please make sure your flights arrive in time for the daily airport transfers to Jasper. From the Calgary International Airport, Sundog’s daily shuttle leaves at 11:30 AM with stops in Banff and Lake Louise. You’ll arrive in Jasper at 5:30 PM. From the Edmonton International Airport, Sundog’s shuttle departs at 3:00 PM and arrives in Jasper at 8:30 PM. Our workshops put photography and logistics first, so we’ve partnered with Mountain Park Lodges in Jasper. We’ll be staying at the recently renovated Crimson Hotel. It’s just a short walk to downtown Jasper, giving our participants easy access to restaurants, coffee shops and shopping opportunities during our down time. We’ll cross our fingers and hope for clear skies. We might encounter cloudy conditions that won’t allow for successful night sky opportunities, so we’re prepared to improvise. In place of night sky opportunities, we’ll focus on sunrise and sunset opportunities. Update: Only 4 Spots Remain!